Sawsan (Suzie) As-Sanie is an Associate Professor in the Department of Obstetrics and Gynecology at The University of Michigan. She is the Director of the Minimally Invasive Gynecologic Surgery Program and Fellowship, and Director of the Endometriosis and Chronic Pelvic Pain Center at the University of Michigan. Dr As-Sanie received her medical degree from Johns Hopkins University School of Medicine and then completed her clinical training in Obstetrics and Gynecology at Case Western Reserve in Cleveland, Ohio. She then completed her Master’s in Public Health (MPH) in epidemiology as well as a clinical Fellowship in Minimally Invasive Gynecologic Surgery and Chronic Pelvic Pain at the University of North Carolina. Dr As-Sanie currently serves on the editorial board of the Journal of Minimally Invasive Gynecology and has chaired several committees for the AAGL (American Association of Gynecologic Laparoscopists), including serving as the Scientific Program Chair for the 2017 AAGL Global Congress. She is the 2018 President of the International Pelvic Pain Society (IPPS), and has served on the IPPS board of directors since 2011. 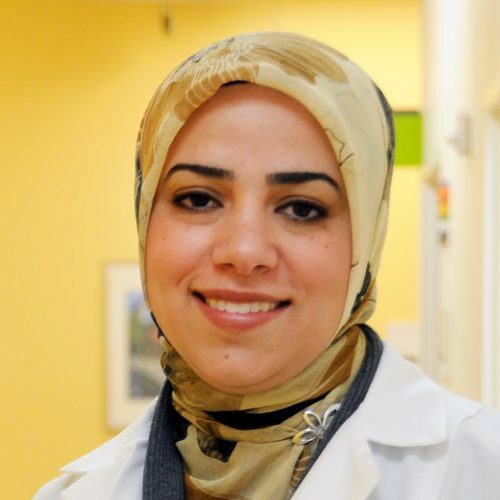 Dr As-Sanie is an NIH-funded clinician scientist whose research interests are aimed at defining the underlying mechanisms involved in the initiation and maintenance of chronic pelvic pain and post-surgical pain, with a focus on endometriosis-associated pelvic pain. Through ongoing collaboration with Dr Daniel Clauw, Dr Richard Harris and other leading faculty within the University of Michigan Chronic Pain & Fatigue Research Center, Dr As-Sanie’s team published the first studies that demonstrate a central pain phenotype with alterations in brain anatomy and function in women with chronic pelvic pain, which are independent of the presence and severity of endometriosis. These studies have shifted the paradigm in the care of women with chronic pelvic pain and have been cited extensively to explain why the degree of endometriosis does not correlate with the severity of pain symptoms, and why up to 25% of women who undergo hysterectomy for the treatment of pelvic pain have persistent pelvic pain after surgery. Dr As-Sanie is committed to promoting formative improvements in the healthcare of women with chronic pelvic pain and endometriosis by pursuing clinical and translational research in the epidemiology, physiology and treatment of pelvic pain disorders and by providing evidence-based education of patients and providers on appropriate evaluation and effective treatment strategies.